Sunset Garden Cafe is one of the Coolest Outdoor Terrace with WIFI in Samana Town. Burgers, Quesadillas, Tacos, Pastas, fish, seafood and more. 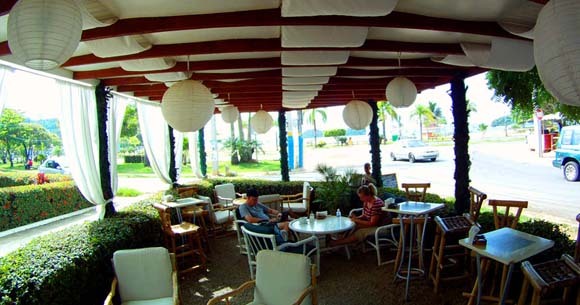 Full Bar service with exotic drinks and cold beer in a beautiful relax setting with view on Malecon, Marina and Bay of Samana. The location is great and food is excellent at a good price. the atmosphere and location along the waterfront of Samana are awesome as well the great worldwide music played. Cayo Levantado, also known as Bacardi Island, though choked with tourists, has a beautiful white-sand beach. 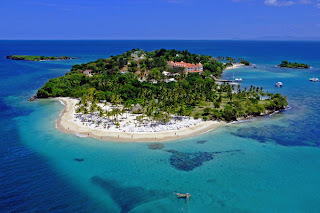 Due to the island’s protected positioning in the bay, the waters are calm, shallow with a plush sandy bottom, and warm. This is an enjoyable place to take the family. The Gran Bahía Principe Levantado hotel occupies two-thirds of the island. Cruise ships dock here as well. It’s easiest to obtain a ride to Cayo Levantado by going directly to the Port of Samaná, where boats will take you there for US$10–15 per person, round-trip. Always try to work a better deal if you have more people in your party, and agree on a price before boarding the vessel. Alternatively, about eight kilometers east of Samaná is a beach called Playa Carenero in a village of the same name. Here you will find multiple boat captains who can ferry you to Cayo Levantado for RD$1,500 for a boatload of 1–5 people round-trip. If you have more than that in your party, it is RD$300 each person. Another option is to go to the Gran Bahía Principe check-in dock. This is where guests of the Bahía Principe resorts are ferried back and forth to Cayo Levantado. It is one kilometer farther down the Samaná–Las Galeras Road. Pay US$9 to board one of their boats. After disembarking on Cayo Levantado, follow the crowd and you’ll eventually see dozens of booths selling crafts; past there is a beach where you can rent loungers for about US$3. Food vendors sell ice-cold beers and plates of freshly fried fish with rice and salad for US$9. Beware: The trinket-hawkers are everywhere and rather persistent. Nestled in a thickly forested area in the middle of the Samaná Peninsula, northwest of the town of Samaná, is Salto El Limón (Lemon Waterfall). This 52-meter-high cascade falls into a swimming hole, giving a most refreshing end to the somewhat difficult, and at times hair-raising, trek it takes to get there. Most people go to the waterfall by horseback. 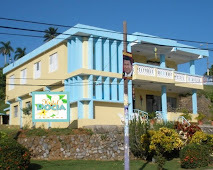 Paradas (literally “stops,” but in this instance it means a horseback-riding tour operator) line the highway that cuts across the peninsula from El Limón to Samaná. These outfitters’ routes vary, but most will provide your party with a horse, a guide who will walk beside you up the mountain, and the option of a lunch prepared for you upon your return. 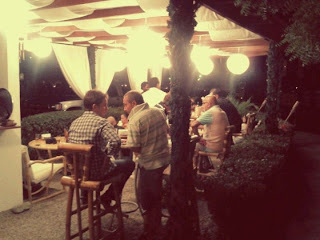 It is an awesome experience that shouldn’t be missed when you visit the peninsula. One of the major reasons the town of Samaná is on the tourism map is because it is one of the best places in the world to observe dozens of humpback whales in their natural environment. This awe-inspiring activity will take you near Cayo Levantado on the turquoise waters of the Bahía de Samaná, where the giant, white-finned humpbacks practice their mating rituals. Every year, thousands of these huge mammals come from the faraway waters of Greenland and Iceland to the Bahía de Samaná. 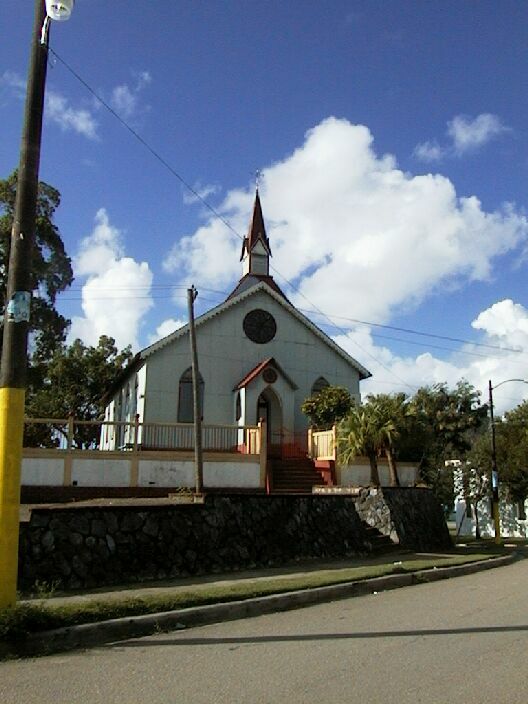 This small Evangelical church (Calle Duarte, 9 a.m.–6 p.m. daily) is a few blocks from the water. The materials were originally shipped all the way from England for the then recent immigrants of the Canary Islands. The wooden interior, red tin roof, and zinc siding were assembled back in 1823 in Santa Bárbara de Samaná and was barely restored until 2007, when various donors got together, hired architects, and began to save the church from damage sustained over the years. Overall, La Churcha remains as it came to Samaná back in 1823 but for a few replaced pieces of siding that had to be shipped from Germany to keep it historically correct, and the original floor had been changed from the wood to ceramic back in the 1930s. Some services are held in English. While La Península de Samaná is a magnet for independent travelers seeking the uncommon track in the Dominican Republic, Las Galeras is for those who seek an even more potent version of that. Those who like small village life as an alternative to their regular hectic lives at home will fall in love with the coconut plantations, numerous secluded and private beaches, and the tropical lushness of the undulating hills throughout this region. Las Galeras went virtually unnoticed until the early 1990s. Its remarkable beaches (some that you’ll have to reach by boat or hike to in order to enjoy), remote location on the Samaná Peninsula, and the slow-paced tranquility of the village have created a following among independent travelers from Europe and Canada over the past two decades. Las Terrenas is a humming hive of activity. Slow-strolling tourists and speeding motoconchos coexist somehow. The flaxen-colored sand and indigo waters of the beach, fringed by palm trees, stretch for kilometers and remind us that Las Terrenas is still a place to relax and enjoy paradise despite the frenzy that swirls around, even into the early morning hours. This is the best place to come on the peninsula if you’re wanting a vacation of both slow days in the sun and a fun-filled nightlife. The other towns on the peninsula just don’t have the same vibe. In the late 1970s, tourists traveling to the small town began falling in love with it and started staying for good. These expats, mostly from European countries like France, Italy, and Switzerland, have opened many hotels, restaurants, and other businesses that continue to thrive and give new tourists plenty of appealing options. Samana Zipline Tour is an excellent excursion to do with friends, family and children. It's an ecotouristical atraction for all ages, that combines the contact of nature, flying into the forest, swimming in casacade and having lunch in the great "El Valle" beach, with the best dominican food, such as fresh fish, lobsters, and fruits of the place. The Tour begins in a typical Dominican house, where they can enjoy coffee and organic cocoa harvested locally. In addition to enjoying some coconuts and fruit juice. The guests are briefed there, then mounted on horses that will lead to the top of the hill,where the pirate ship. Cascada lulu After crossing several times the San Juan River, we reached the 12th station, a century-old ceiba tree that leads to the ultimate treehouse. 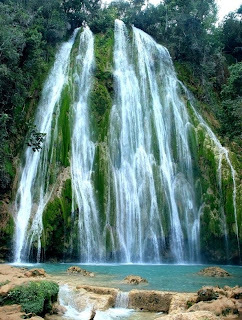 From there walk along a path and Lulu get the waterfall for a refreshing swim with natural water included. La ceiba From there We continue the majestic beach safari to The Valley to enjoy a waterfrontlunch in one of the prettiest beaches on the peninsula. Too many emotions to not let go, and appreciate the real flora and fauna that has the Samana Peninsula.